Resinet SM60 has been engineered for high visibility, as well as low wind drag. 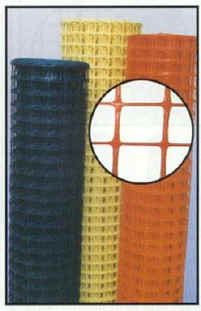 This allows the posts to be placed further apart, saving both time and money. The 1/2" (Approximately) solid bands on the top and bottom give greater visibility. The SM60 has been discontinued and is being replaced by the SLMUT48 available here.